I find with the hokua i get a bit slippery on the face of the wave and find it hard to dig the rail in. I like the 32 width but am happy to start looking for a different board. So... what are your thoughts?? The issue is the volume of the board not the fins. At 105kg I ride 125 to 130 litre boards from 8 6 to 10ft. Thin rails work well at speed. Around that size would be fine for you, although I did transition through a 130L board on the way down from my 8'8 surfwide, which is similar to your hokua. I also have a 8'6 hypernut at 31.5 wide which I ride when its bumpy or super small and I wouldn't otherwise surf. Also - when riding wider boards, its super critical to be right on the tail to engage the rails at all. Are you confident that you are doing this? 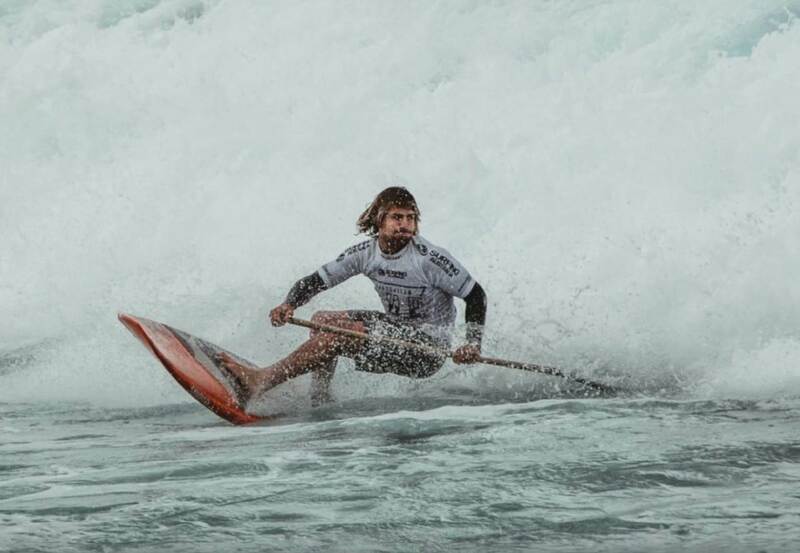 below is me on my hypernut on a v.small day with most of the board out of the water. touralie, time to get down in size. But progressively, do not get down too much. Something like 8'6" x 30/31 x 130L could be great. As jb1979 said, foot positioning is key. Try to move your rear foot backwards and closer to the rail(*). And let time for the board to dig the rail before moving your body weight inside the turn. - In slow waves (15s mandates narrow boards. - the faster the wave, the more the width becomes critical. >15s mandates narrow boards. Smaller fins and hull shapes (V, concaves) help, but it is marginal. Thanks for the feedback guys.. i have been working on my foot positioning. This vid was one of the first sup videos i watched!! Guess im on the right track because i was looking at boards from 8'5 x 32 such as fanatic or ecs wideboy. Both about 135 ish L.
I've also had these boards .and thought i liked 32 wide too ...but that changed . Sunova Acid .is a good choice .pulled in nose and tail ,great bite on the wave and nice in the sucky section. the flow is my second favourite . the shape of the sunova rails are the key to these boards ,not boxy like the x32 . 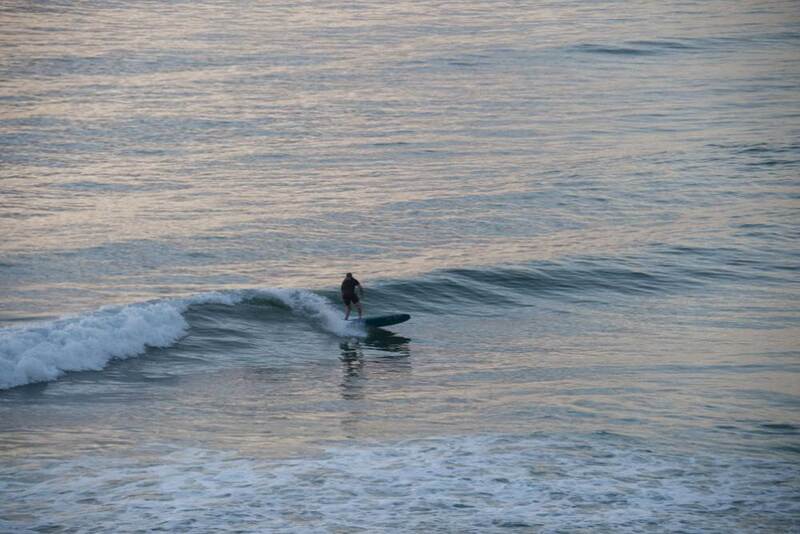 ITS improved my surfing a lot ..
- In slow waves (15s period mandates narrow boards. You should maybe look at something with less width and more performance orientated, because you prob won't notice much difference ? 8'10 flow maybe or even a custom from surefire or deep or someone like that? The surefire de-vandal would be a good choice. It's a hybrid model between the performance shape vandal and the wideboy degenerate. Give them a call and ask for exactly what you want. I.e I want a 8'8 by 30.5 by 128l with nice low rails and you'll get one designed that's as close as possible to what you ask for. Well priced too. This is all I sup surf these days and they have so much speed and drive it's crazy, best thing is you can have them made in any size you want and they are way cheaper than you might think. Wow - that looks pretty sleek! How thin is that board? Hey . Thanks for all the feedback. I ended up with a ecs wideboy. 8'10x31 x 135L. Took it out today in small surf and so far im really impressed. Guess i will see how it goes wen its a big bigger. I think i have room to move in regards to dropping more liters .. Boards above do look sleek.. i will check out website. Stoked you got a new board!! always feel free to give us a buzz if you decide to drop a bit more or even look for that board that is just made to suit you perfectly. Once you ride one of these Custom little fish is pretty hard to go back to the traditional shaped SUPs. Not 100% sure as these were a few we did a while back, I think the one in the pic is the one we made for my Step father which was 8'2 x 29 x 120L can't quite remember the thickness but I know he drips on it for someone in there late 60's!! Thanks jacko i will. Checked out your website already.. actually spoke to a guy in the surf today who said u guys made great boards. Sunova speed,size to suit..not the widest ,but digs in with thinned out rails and narrow tail..aSlsp the starboard hypernut,is a massive surprise and gives a confidence on suckier quick waves.Stable as,when waiting for waves.. I grew up in the era of the Barry Kanaiaupuni bottom turn.... no wave counted unless you laid down some track. 50 years later, and it still defines my goals. My Sunova Creek never lets me down on a rail turn. This vid was my test to see if I could blow out my fins when I first got my 9'1. Solid as a rock.